The Moon moves into Libra today, and will stay there until Saturday. 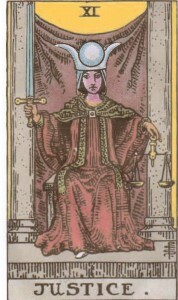 Looking at this transit through the lens of the Tarot, it would be like the High Priestess is wearing Justice’s clothing. She takes on the mantle of the Karmic Decider. With the High Priestess as Justice, or the Moon in Libra, we might be required to face up to something and decide. Our emotions will demand respect. If we’ve leaned too far back or forward, we’ll probably find ourselves moving just as dramatically the other way. It can be a slightly challenging period, perhaps a little manic. But by the time it’s done, something is likely to have been decided upon. Don’t be alarmed by conflicting emotions. They’re there because you can see both sides. It’s not good enough though to just acknowledge them and walk away. During this transit you’re being asked to take a stand one way or another. And you’ve got the wisdom and power to do so. 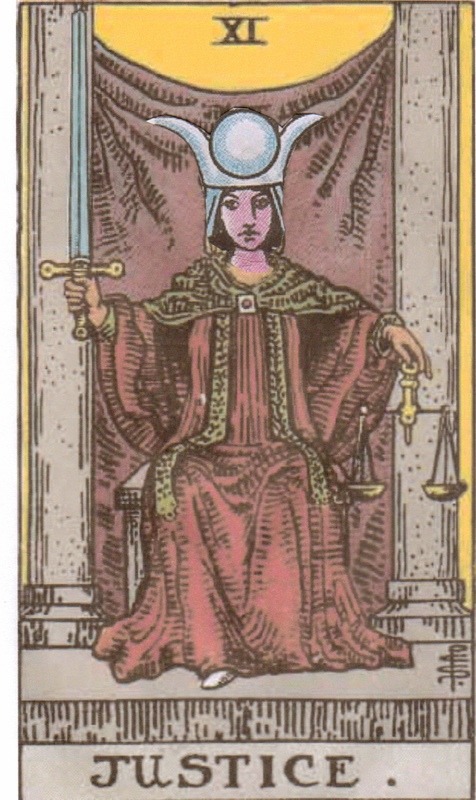 You are currently reading Moon in Libra – High Priestess in Justice's Clothing at The Tarot Room.